Another great show last night as we wind up the Radio Theatre Project’s 2014-2015 Season. The highlight was guest voices from the audience playing roles on a recap of this season’s Noel Berlin, Cabaret Detective story – to catch everyone up before Noel’s Season Finale. Many thanks to Ray Arsenault, Sandra Gadsden, Lisa Lippincott, Steve Mitchell, Michelle Routh and Ann Scott for stepping up to the mic! 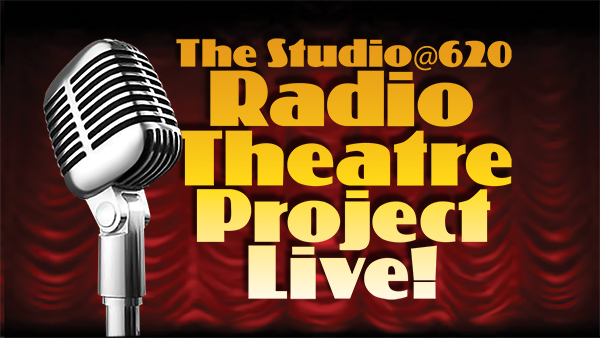 Join us Monday, March 23 at 7 PM for Radio Theatre Live! TROUBLE (yes, with all capital T’s!) is the theme, starting with Trouble at the Supermarket. A simple trip to the supermarket in a tropical tourist town, jinxed with miscommunication and bad luck, turns into a comic misadventure. RTP favorites Rich and Mimi Rice are back from their vacation to play this couple on vacation. Bride on the Rocks features a jilted bride (Lisa Powers Tricomi), still in her wedding dress, drowning her troubles with the help of a very sympathetic bartender. In Contract Removals, a woman wants to hire someone to remove something troublesome, but does she want a mover or a hitman? And, of course, trouble never ends in The Continuing Adventures of Noel Berlin, Cabaret Detective. The only question is what kind of new troubles will Noel and his sidekicks find this month? $10 admission. 727-895-6620. 620-1st Ave. South, St. Petersburg. Plus mark these 2015 dates on your calendar: Apr. 27, and May 18! To learn more visit RTP Live! at www.radiotheatreproject.org. The Studio@620 and WMNF Radio Theatre Project (RTP Live!) Season 5 concludes with a grand finale on Monday May 19, 2014 at 7:00 PM. Plays include The Blackout by Karin Fazio Littlefield, One Three Two by Michael Weems, and the Season Finale of The Continuing Adventures of Noel Berlin, Cabaret Detective. Don’t miss it—Playwrights promise that something will finally happen in this episode! Sylvia, alone and pregnant in the Manhattan high-rise she shares with her husband Noah, awaits her husband and a dinner guest, Mr. Swanson. In spite of the blackout, Swanson arrives and engages Sylvia in a disturbing conversation. When Noah gets home, though, Swanson vanishes. As the night continues, sights and sounds become even stranger and more ominous. Are they Sylvia’s hallucinations, or is the danger real? Karin Fazio Littlefield has a varied background, from genetics and philosophy to art and film. She has created numerous site-specific installations and video pieces. Her plays have been produced across the US and Canada by companies including the American Globe, Manhattan Repertory, She Speaks, Last Frontier, and Sign Post Forest Theatres, as well as The Disreputables in Washington, D.C.
A man who can’t handle the overload of information in modern society decides to drop out. He begins by forgetting all the numbers in his life. Can his concerned wife talk him down? The Studio@620 and WMNF Radio Theatre Project (RTP Live!) Season 5 continues on Tuesday April 15, 2014 at 7:00 PM. In the immediate aftermath of the 9/11 attacks, two strangers agree to share a ride to Huntsville. Over the course of two days, they discover that they’re both guarding secrets and the recent events cause them both to examine their lives and the choices they’ve made. “Lost Satellites” follows siblings, Ben and Ally, who are moving Ben across the country after the death of their mother. Their fiesty GPS accompanies them and attempts to get them to their destination in one piece. The Continuing Adventures of Noel Berlin, Cabaret Detective #6 by Matt Cowley and Paul Wilborn.